US forces in Afghanistan confirmed Sunday that the head of ISIS in the country was killed in a strike a little over a week ago. The strike, on Saturday, August 25, was in the eastern area of Nangarhar province and killed Abu Sayed Orakzai, according to a statement from US forces in Afghanistan. 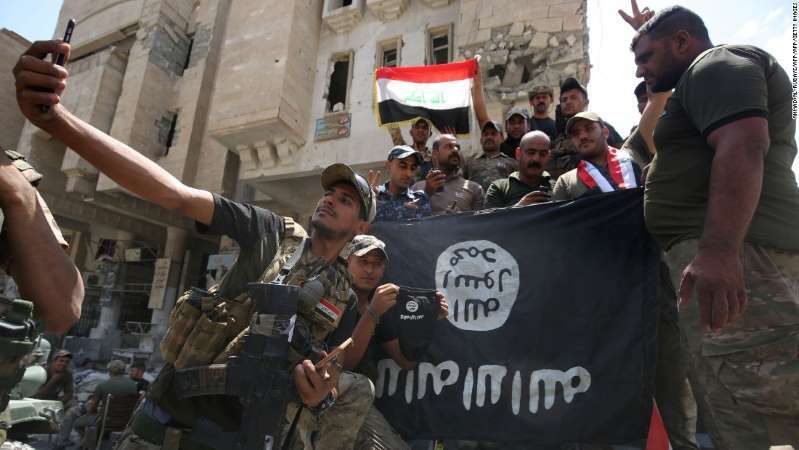 CNN reported previously that the ISIS leader and 10 other fighters from the terrorist group were killed in an airstrike, according to provincial spokesman Attaullah Khogyani. "America and her allies are in Afghanistan to maintain pressure on the networked, trans-regional terrorists attempting to plot, resource and direct attacks from here," Army Gen. Scott Miller, commander of US and NATO forces in Afghanistan, said in a statement Sunday. "This is only part of the coalition's work towards an Afghan security solution, but it is a vital part." Miller officially assumed command of the NATO-led forces at a ceremony in Kabul on Sunday, NATO announced, taking over the role from Army Gen. John Nicholson. Khogyani told CNN previously that Afghan and coalition forces carried out the strike after receiving intelligence from Afghanistan's National Directorate of Security. The death of the leader marks the third time US forces have killed a self-proclaimed head of ISIS in Afghanistan since July 2016, according to the US. CNN's Ethan Poplazai, Barbara Starr and Eli Watkins contributed to this report.